"The Car Guys of Scottsdale did a great job tinting my SUV. They were efficient and effective." Scottsdale Window Tint .com . 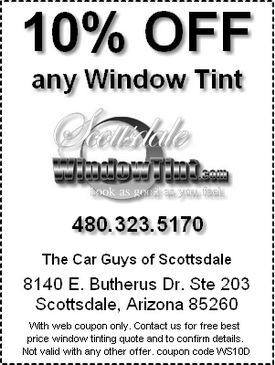 . .
Arizona car and truck window tinting specialists for over 20 years! Community Support . . .